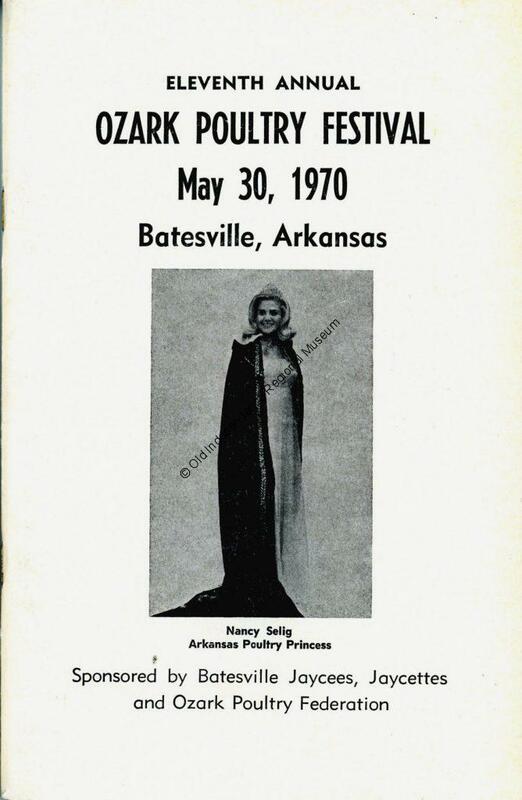 The Museum houses three booklets from the Ozark Poultry Festival 1970-1972. This festival was held in May of each year and was sponsored by the Batesville Jaycees, Jaycettes, and the Ozark Poultry Federation. The poultry princess pageant was held at the White River stadium. Each booklet includes advertisements from local businesses as well as a schedule of events. These objects are part of the Harelson Collection at Old Independence Regional Museum.